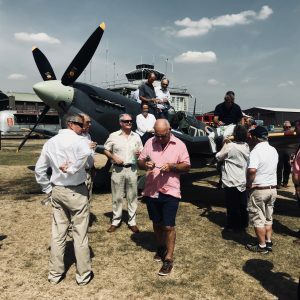 The glorious weather we have been having held on for the 75th anniversary celebrations for MH434’s first flight in the hands of Alex Henshaw, on the 7th August. 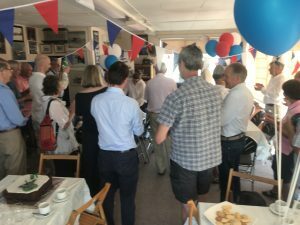 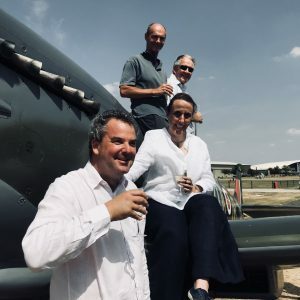 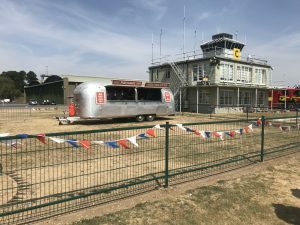 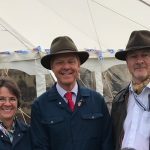 Thirty plus guests came to IWM Duxford to celebrate, with delicious English food and fizz, including owners, pilots and engineers, past and present. 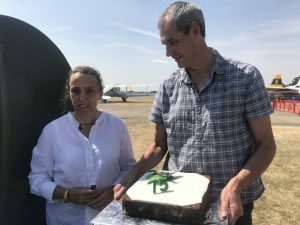 It would be reasonable to expect a certain British quirkieness to the proceedings, and to that end the assembled company heartily sang out ‘Happy Birthday’ to ‘434, and the aeroplane it’s self participated by turning over it’s prop (helped by Paul Bonhomme), so that it could blow out the candles on it’s cake….. this may be another first among Spitfires, as we have no record of any other such aeroplane undertaking such a thing! 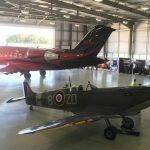 On a more serious note, Paul Bonhomme had commented on what Alex Henshaw might have said if it had been suggested to him on the 7th August 1943 that this particular aeroplane would still be flying, and be so loved and celebrated, 75 years later. 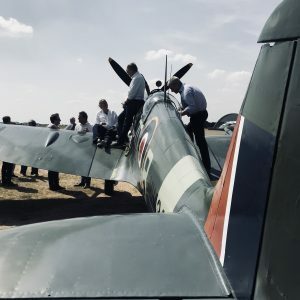 It would surely then have been beyond anyone’s comprehension that it would be possible, and is a testament to the all the people with us this week, and so many more, past and present, who could not be there, that MH434 is so admired and loved now.